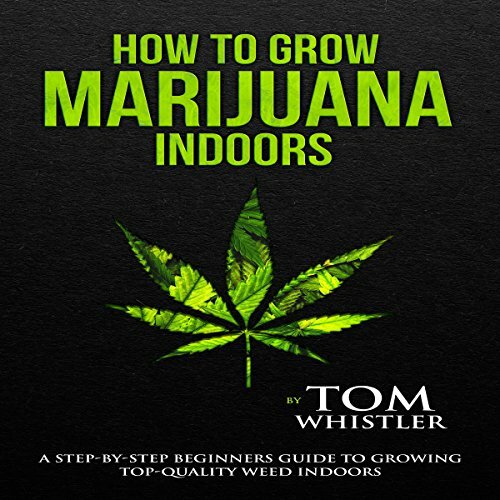 This audiobook contains a step-by-step guide on how to grow top-quality weed outdoors. Growing weed indoors has been a practice in the past decades. With weed being accepted by the mainstream market, however, it is now possible for us, with the proper permits, to grow it in our backyards. 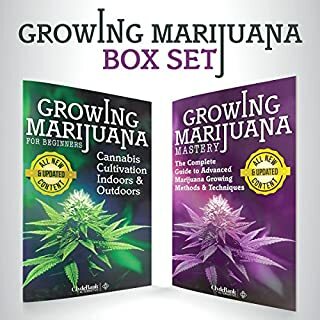 You will learn the basic needs of the marijuana plant, what makes the marijuana plant worth growing, how you can manipulate the plant's life cycle to grow top-quality weed, and more. From equipment to types of seeds, to harvesting times and common problems, the process of growing cannabis can seem overwhelming for a beginner. Now you can save time and improve your cannabis-growing knowledge in seven easy-to-follow steps. 7 Steps to Grow Cannabis skips the history and science behind cannabis and focuses on simplifying the indoor growing process so you can start growing soon and with confidence. Have you always wished you could grow your own pot, but didn't know how? Find out how with Growing Marijuana: a Quick Start Indoor and Outdoor Grower's Guide for Medical and Personal Marijuana Cultivation. Marijuana has faced prohibition in countries throughout the world, especially the United States. It has been criminalized many times, but we are finally taking all the necessary steps toward legalization. It is legalized for medical use in more than half of the states in the US, with some of them allowing you to grow your own for medical use. Always wanted to grow marijuana on your own but you can’t wrap your finger around the task? This audiobook will be everything you need to turn yourself into a certified green-thumb with the fuzzy plant. Here, you will walk through each stage of cannabis growing like a pro and end up with the best product you’ve ever raised. Go through each step of the life cycle of cannabis. Learn about cannabis and its different forms, strains, uses, and applications to enthusiasts. Learn where to get the best seeds without fear of being scammed. Grow cannabis in the comfort of your own home, being able to anticipate any potential threat to your harvest like a seasoned veteran. Learn the secret to what makes a good batch great. You’ll be equipped with the necessary information and skills required to tame this delicate plant and make it work for you. You will no longer have to look for dealers and you’ll enjoy cannabis whenever you want! 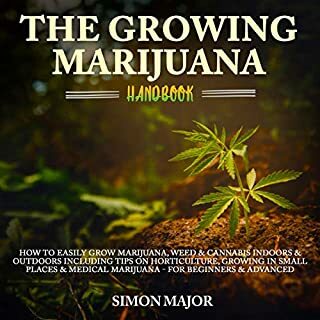 Taken from the efforts and research of experts from around the world, this manual will show you the ins and outs of growing marijuana indoors. This audiobook will be everything you need to create your own stash on your own terms. And all of this will happen in the comfort and privacy of your own home. Not the book for you if you want quality information. This author doesn’t even know the differences between Indica and Sativa. How fresh and pure the air smells in a sealed room with lots of plants-because plants produce so much oxygen; however, because plants need lots of carbon dioxide, your marijuana plants will die unless the oxygen in the room is replaced with carbon dioxide! 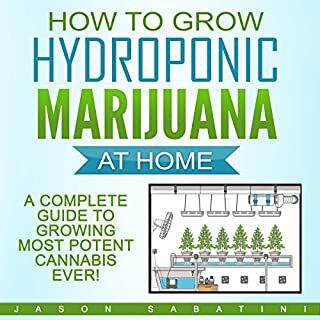 There are a lot of information in this book that educates the reader about how to plant marijuana and how to take care of it. 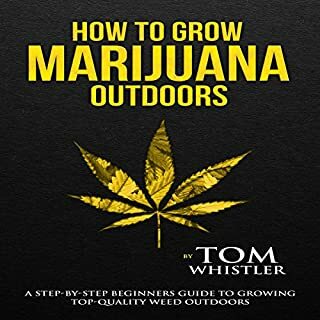 It is a good book for those who already have a marijuana garden. 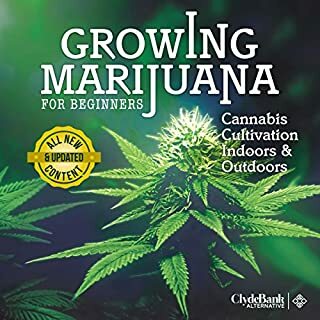 They may already know a lot about gardening marijuana, but I think they can learn a couple of things from this book. According to the authors growing marijuana is a process that requires great skill which can be put to test in other to gain advancement. 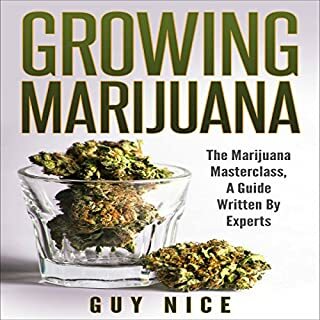 The book provided various skills that will enable successful growing of cannabis, of which major points were discussed in the book such as choosing of seeds and nurturing them, setting up to grow, deciding whether you planting indoor or outdoor as well as the growing process. Don’t go out of the context of this book if you really want good results, grab a copy. very knowledgeable books and very enlightening with the process as well as the dangers of damaging if not cared for properly.